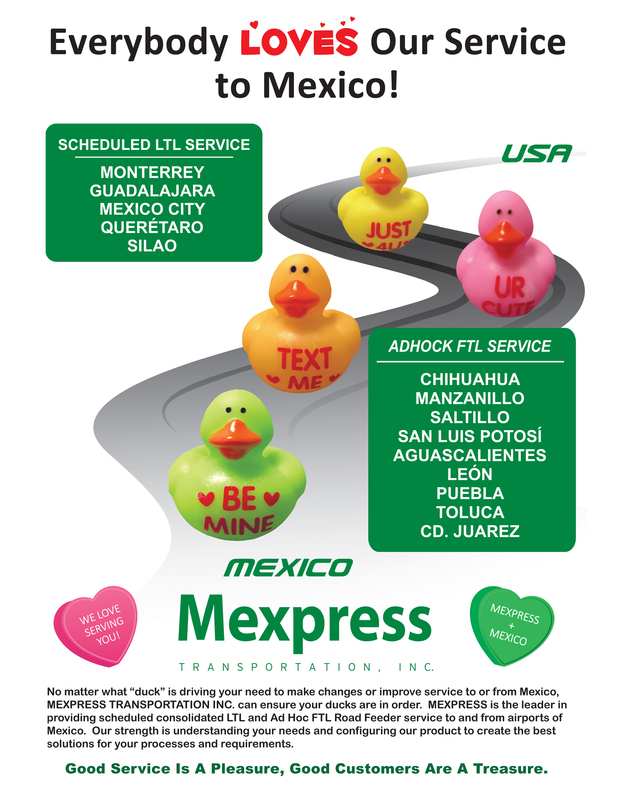 Welcome to Mexpress Transportation, Inc. If you haven’t already, you will find our site contains information about our company, the points we serve across North America and how we can provide solutions to more than just transportation problems. Our primary service, however, is being the fastest way to move freight across the border. fill them out as needed. Mexpress will be happy to provide assistance if you are unfamiliar with these forms. Once we’ve gotten the correct paperwork, you can schedule your pickup by phone or online. When your shipment is en route, you will be able to use Mextrak™ to track its progress. Fianza – Surety bond. All foreign-owned trailers taken beyond the free zone must have a fianza permit in order to travel beyond this point. Import Permit – Importer is responsible for obtaining this permit in Mexico. Packing List – Like the commercial invoice, this should include gross, net & legal weights. Temporary Import – Goods imported into Mexico to be re-exported as finished goods or returned goods after being used in Mexico.